The J-Serve teen committee celebrates their day of service. Hundreds of teens joined forces April 10 on the Aidekman campus in Whippany to launch a day of caring and giving to the community. 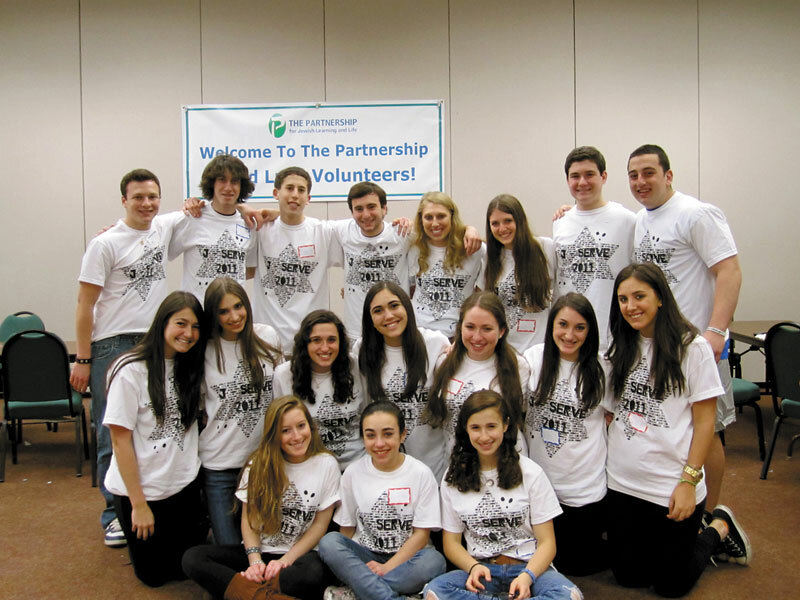 For J-Serve, the National Day of Jewish Youth Service, more than 300 MetroWest teens took part in over a dozen assistance projects under the guidance of The Partnership for Jewish Learning and Life, the educational arm of United Jewish Communities of MetroWest NJ. “One teen working for a certain cause can make a difference, but when thousands of teens come together, they can change the world,” he said. Meeting monthly from November to April, the committee planned every part of the event. Service projects were organized for nearly every agency in the community, from making toiletry kits for the Rachel Coalition to activity kits for the St. Barnabas Pediatric Center. A phonathon raised $3,000 for UJC MetroWest, and a walkathon raised more than $200 for the fire-ravaged areas of the Carmel region in Israel. The teens danced and played sports with residents of group homes of the Jewish Service for the Developmentally Disabled and Cerebral Palsy of North Jersey. West’s Career Camp, the teens took part in projects that were diverse and met the interests of any youth who wanted to lend a hand. “Participants left J-Serve feeling empowered and knowing that he or she made a difference,” said Benji. 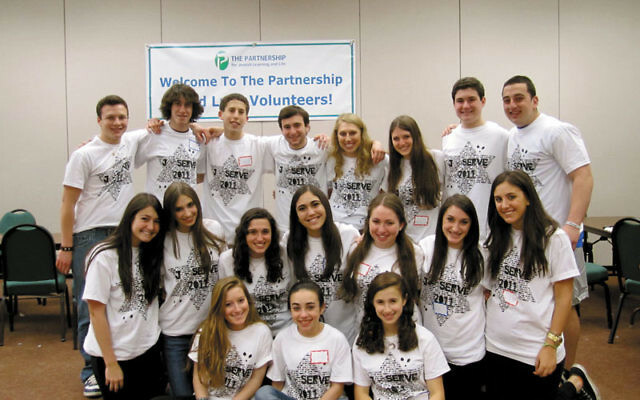 To learn more about next year’s J-Serve, on April 22, 2012, visit www.jteenmw.org or contact Michal Greenbaum at mgreenbaum@thepartnershipnj.org.